A photography proposal should help you to win more clients. Don’t put too much emphasis on the time it takes to write one. Look at the result you’re likely to enjoy once the client goes through a well-written proposal and feels sufficiently impressed to contact you for your freelancing photography skills. Your freelancing business depends on the clients you attract. Use the proposal to beat your competition. Use it to gain a competitive advantage over them. 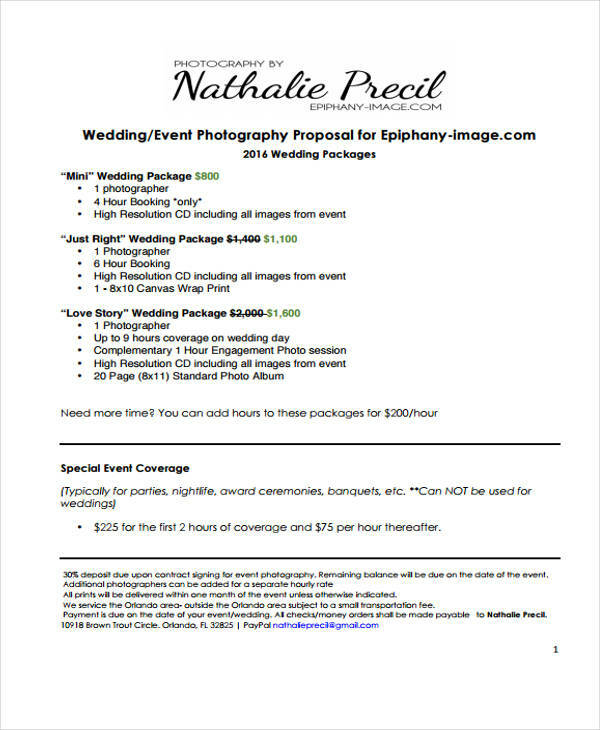 Below are a few ways that the best photography proposal PDF can help you get more clients. Freelance photographers must find ways of getting into the heads of their clients. This can happen in many ways. The proposal PDF is one of the most effective tools in this regard. It has to be well-written though. Be as creative in the proposal as possible. Use it to preach the gospel regarding the services and solutions that you provide. Do not hold anything back. Point them to the issues you consider the most important in the kind of service they expect from you. Clients love stories. In fact, you should build your entire freelance photography business as a narration of the stories you want your clients to listen to. The photos you take, the angles you shoot them at, the quality of the photos, and your technique should all combine beautifully to narrate specific stories. Use the proposal as the tool through which you can sit down with your clients and narrate to them the stories about their lives. One beauty with the proposal is its ability to enhance your credibility as a freelance photographer. Your clients have a few problems. They need solutions to these issues. A good photographer knows how to solve these problems. How can you help? What type of service can you offer? Are you experienced in the type of photography for which they need experts? Answer these questions to reassure them of your credibility. This ties in well with the point regarding getting into and staying in your clients’ minds. Find a way of capturing their attention. Force yourself into their minds. Ensure that they are always thinking about you. That all depends on the content of your photography proposal PDF. It determines whether the clients you wish to serve remembers you or not. Give them a good reason for remembering you whenever they need photography services. 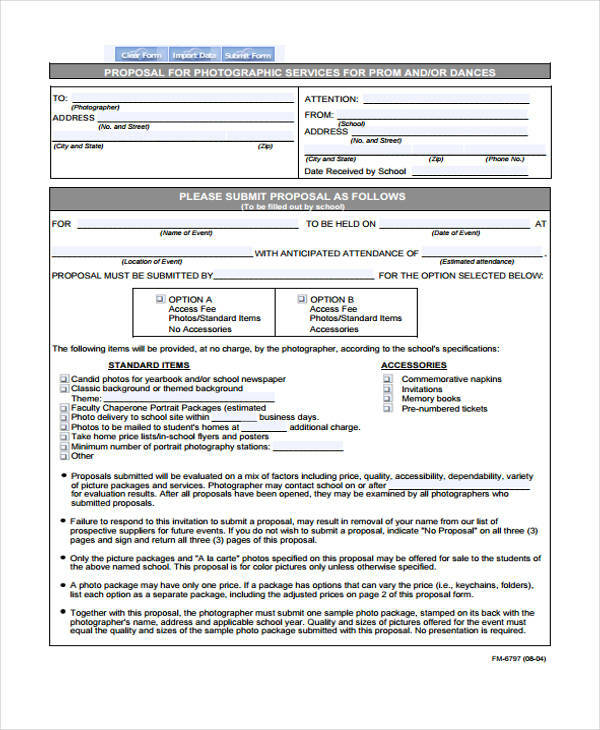 The photography proposal PDF offers you a chance to talk about yourself in professional terms. Use it to let the clients into the fact that you consider them collaborative partners. Weave words together to show them that they are part of your success. Reassure them that they are crucial to the growth of your business. In your freelancing career, you will come across numerous clients who look down upon freelancers. Give them a reason to treat you well. That said, freelance photographers should never devalue the important role a photography proposal plays in professional careers. The photography proposal PDF can attract more clients into your business thus offering you the platform needed for growing the business beyond your wildest dreams. Use it for acquiring the caliber of clients who can offer you consistent work long-term. Use it to find clients who are ready to handle you like the collaborative partner that you are.